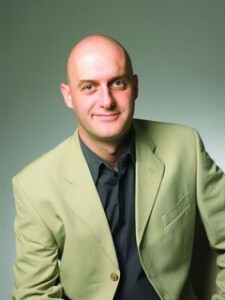 Phil Tatham is the publisher of Monsoon Books in Singapore. He has been in publishing since graduating from university in the UK with a degree in Indonesian literature. He worked for several illustrated book publishers before setting up Monsoon to focus on fiction in the early 1990s. KC Goh is the publisher of Rank Books, a leading publisher of business and self-improvement titles which has been in business in Singapore for more than thirty years. 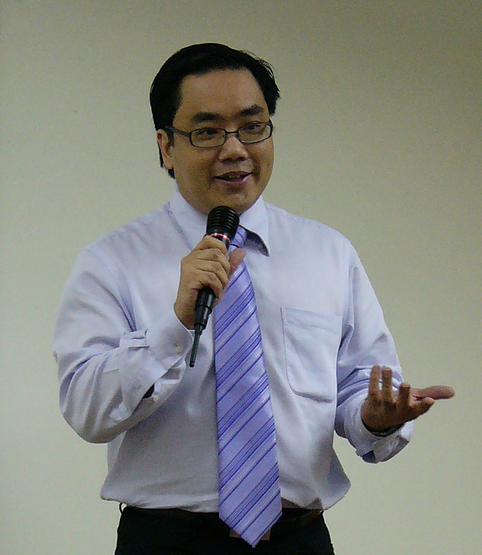 Mr. Goh has edited and written a number of bestselling business books as well as How to Write A Winning Humorous Speech. Publishing Perspectives spoke with these two publishing veterans about fiction, non-fiction and ebooks in the dynamic Singapore market. What is it like publishing English Language books in Singapore? KCG: Being an English language publisher in Singapore is like trying to fight for survival in a sea full of great white sharks. The great white sharks are the imported titles from the US and the UK. What is the nature of Rank today ? Niche publishing is critical to beat the foreign competition. KCG: To prevent ourselves from being eaten, and to survive, our publishing focus has been on local Singapore content. Our investment and business titles have dominated the local bestselling charts. For instance, our recent title, Secrets of Highly Profitable Traders was on the Straits Times Bestselling List for six months. Another book which I wrote and now in the 10th Edition, Handbook for Stock Investors is a national bestseller for the last 15 years. If you want to learn about doing business in Singapore, you buy our book ,not an imported one. If you want to know how to trade in the Singapore stock market, you won’t be buying a book on how to trade the US Stock market. To make your content more local may not sound like a good idea if your market is small, but if you can dominate the market, it is not small at all. Niche publishing is critical to beat the foreign competition. Some of our bestsellers have sold 3,000 to 5,000 copies, some even sold 10,000 copies in a year. Do you too focus on publishing local content, Mr. Tatham? PT: Monsoon publishes literary and commercial fiction and narrative nonfiction on Southeast Asia. We are less concerned about where our authors hail from — although we like to support the local Southeast Asian writing scene — than the fact that the books must be set in this region. How do you choose which works to publish? KCG: We are not doing fiction and literary genres as they are harder to sell. The non-fiction market is a more profitable niche. PT: We commission books, we reprint classics and we publish unsolicited manuscripts from agents and authors. We are looking for original content that will appeal to our target readers: people with an interest in Southeast Asia. Have your seen the number of submissions/manuscripts increase or decrease? KCG: In a small country where people have good jobs, few people really write seriously. So, good manuscripts are hard to come by. In this business, if you wait for someone to knock on your door to give you a manuscript that sells, you are doomed. For us, we see ourselves as a content creator, if we have a good book idea, we go and get it written and published. We are not sitting ducks. PT: The number of submissions only increases although we find we rely more and more on agented material. Any tales of working with strange authors or strange manuscripts? PT: We receive quite a lot of manuscripts set in South America from American writers who perhaps believe Chile and Mexico are in Southeast Asia. How have your retail sales performed? KCG: Retail has slowed down in the last two years. Two major bookstores, Borders and Page One have closed and more smaller stores are closing. Even big chain bookstores are cutting down on their number of outlets. The fact is clear — you will sell fewer printed books through the bookstores over the years. PT: Monsoon is enjoying its strongest year to date, due in part to a lively ebook market. Ebook sales have been increasing month on month for the 18 months since we released our first ebook. Despite some cannibalization of our print market, we are optimistic about the digital books market. 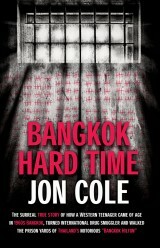 One of Monsoon’s popular series on the underbelly of Asia. What are you doing to respond to the growth of the ebook market? KCG: We are going digital this year. We will be focusing on creating ebooks and digital content. In fact we just launched a new site www.digitalpublishingsingapore.com to offer various digital publishing services to authors in Singapore and overseas. Our new slogan is “Go Digital Sell Global.” When you go digital, not only can you sell globally, we can also work with any author outside of Singapore. Going digital also allows us to shift from producing local content to more global content. What drives our interest in ebooks is that we can say goodbye to returns, a nightmare for publishers. No inventory means we can experiment and expand new titles without worrying of over stock situation. PT: Due to the success of ebooks, we are accepting more manuscripts that we’ll be publishing direct-to-ebook. In a number of cases, though, we have published first as an ebook only to discover a demand for the print version, and so followed up with a print edition later. Let’s talk a bit more about the ebook market in Singapore. What are the main software issues? The hardware issues? KCG: There is no single default software for ebook publishing now and no single format. It is complex. You’ve got ePub2, ePub3, CSS, Html 5, XML, etc…. a publisher was never a programmer and these things are alien to the traditional publishers. Unlike in the past, if you want to publish a book, the default software was Pagemaker, QuarkXpress and then Adobe Indesign. If you know it, you are fine, but the tools for ebook creation are complex. 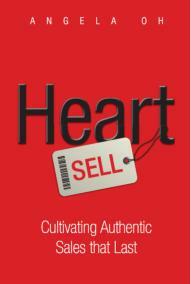 Rank Books focuses on self-help and business titles, among others. Another issue is that authors have not caught up with the ebook technology. They are still in the “Static Texts To Reflowable Text” mode. With ebooks that can be enhanced with animations, videos and sound, the way a book is written has to change. The way an author thinks about writing a book for the readers who owns high-tech reading devices has to change. Authors are by nature not tech-savvy, so to come up with more interesting books capitalizing on the new features for new devices will be challenging. PT: At the time of writing, none of the global ebook retailers — Kindle, Nook, iBookstore, Kobo, Google — have a major presence in Singapore, although we expect this to change very soon. Although Monsoon has more ebooks than print books on its list, only 3% of our ebook sales are from retailers in Asia. We look forward to more ebook retailers setting up shop in Singapore as the population is tech savvy and has no historical loyalty to print. Do you see the ebook market expanding? KCG: Yes, with more tablets and iPads being sold worldwide, ebooks are the way to go. The “Kindle gold rush” is a reality. Now anyone who wants to print less than 100 books, we tell them to publish ebooks instead. Or if the local demand is small, we tell them to publish an ebook instead, as the cost is cheaper. If they wan to publish books in full color, we also recommend ebooks! The world is more colorful with ebooks! PT: The ebook market can only expand in Southeast Asia, as it has yet to really take off. This will be true across genres but particularly so in education and professional publishing. One challenge faced by Singapore-based trade publishers has been to implement ebook strategies with no local ebook market to sell into. At Monsoon we looked overseas for devices, aggregators and customers to help us kick-start our ebook program. We must publish ebooks for an export market and that has, I believe, slowed the adoption of digital publishing among some local companies. We are also exploring the delivery of ebooks to mobile devices. Monsoon already supplies ebooks to Samsung mobiles (and tablets) worldwide and to Apple’s iBookstore as well as to local mobile service providers in Singapore. We believe the mobile phone market will be extremely important for ebook sales in the near future. What is the publishing project of your dreams? KCG: I would like to publish an interactive ebook that is a collaborative effort from different authors around the world, taking on on the best ideas and talent from around the globe and surpassing the geographical limits. Instead of cloud computing, it is cloud authorship and publishing. PT: For decades, Indian writing in English has enjoyed an exalted position on the world’s literary map and we hope to shift the focus further east to Southeast Asia. There are so many exciting authors based in Southeast Asia just waiting to be discovered both at home and abroad.